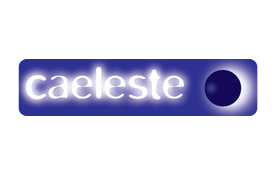 Caeleste (°2006) solves image sensor challenges by custom design and subsequent supply. Its team of 22 engineers accumulates 100+ years of image sensor experience and as such created important breakthrough in image sensors for space, scientific and medical applications. It holds unique IP related to low noise and high S/N, photon counting, X-ray, time gating pixels, HDR, proton and SE hard pixels. Caeleste key persons have extensive history in space projects and realize(d) and/or qualified FM image sensors and circuits since 1989, designing many advanced and first-off image sensors. Housekeeping camera’s in the Mars Express, XMM based on Fuga & IBIS-IRIS series. Design of many ADCs including a space qualified 8bit and 10bit Flash ADC, a 14bits Pipelined ADC for IR image sensors and column-wise high-speed 10bit ADC. Caeleste is in process of being ISO certified.